Ashok Desai is Consultant Editor of The Telegraph. His columns in that newspaper as well as in Business World magazine are an authoritative commentary on economic events in India. Having graduated from Sydenham College, Bombay Ashok Desai proceeded to King’s College, Cambridge where Nicholas Kaldor was among his undergraduate supervisors. His student contemporaries included Jagdish Bhagwati and Manmohan Singh. 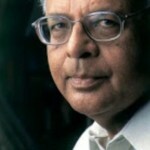 He graduated PhD in Economics from Cambridge in 1963 for his dissertation on German economic growth before World War I.
Ashok Desai served as Chief Consultant in the Finance Ministry from 1991 to 1993, and helped design the early economic reforms. His inputs in the areas of taxation, trade policy and regulation of financial markets are particularly notable. In 2004-06, Desai carried out a study of the telecommunications industry. This was preceded by a survey of the information technology industry. In the 1980s he coordinated a large survey of energy research for the International Development Research Centre in Ottawa. In the 1970s, he taught and researched at the University of the South Pacific in Fiji as well as the University of Sussex in England. 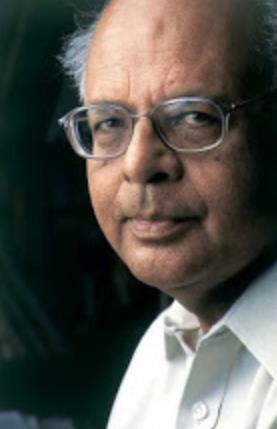 Earlier, Desai worked as an economist in National Council of Applied Economic Research in Delhi, where he carried out policy-oriented studies on technology development and transfer. Currently he is a Director of Forbes Marshall, an engineering company. Amongst Dr. Desai’s writings are India’s Telecommunications Industry: History, Analysis, Diagnosis, Sage Publications, Delhi 2006; The Price of Onions, Penguin India, Delhi 1999; My Economic Affair, Wiley Eastern, Delhi; Technology Absorption in Indian Industry, Wiley Eastern, Delhi 1987 (Editor); Energy Review Series (15 vols. ), Wiley Eastern, Delhi 1986-89; Foreign Technology and Investment: Their Role in India’s Industrialization, National Council of Applied Economic Research, Delhi 1971 and Real Wages in Germany 1871-1913, Clarendon Press, Oxford 1968.